BRG's 665 series allows you to change the color of any zone or zones with ease. Tired of red LEDs switch to another color anytime. 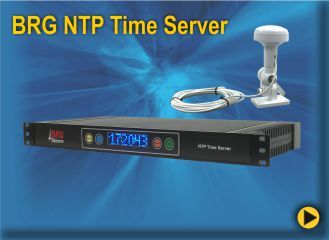 BRG 665H-C User Changeable Multi-Color Time Zone Clock. 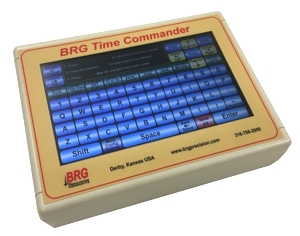 Even though our fixed zone time zone clocks come with an IR remote control to change LED zone color and brightness, BRG offers the Time Commander Option. 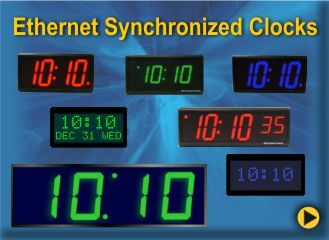 A USER CHANGEABLE COLOR option is now available on most digital clocks. Also, a new GUI touch screen IR remote control, with built in help screens, is available for time zone clock reconfiguration. The 665 series time zone clocks have bar-segment LED time with white vinyl zone labels below the time of each zone. 665 models display 9 time zones. For easy clock management, an infrared (IR) remote control is included with every 665 model. You can specify a radio (RF) remote, if preferred for no additional charge.